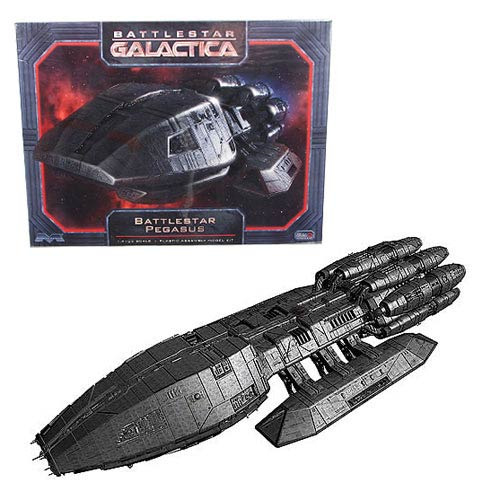 Model kit from the modern Battlestar Galactica TV series. From the modern Battlestar Galactica TV series, comes the Pegasus! The "Beast" matches the "Bucket" in 1:4105 scale, to make terrific companion pieces (sold separately). Pegasus measures over 15-inches long when assembled. This is a skill level 3 model kit that requires paint and glue for final assembly. Experienced modelers only. Ages 14 and up.